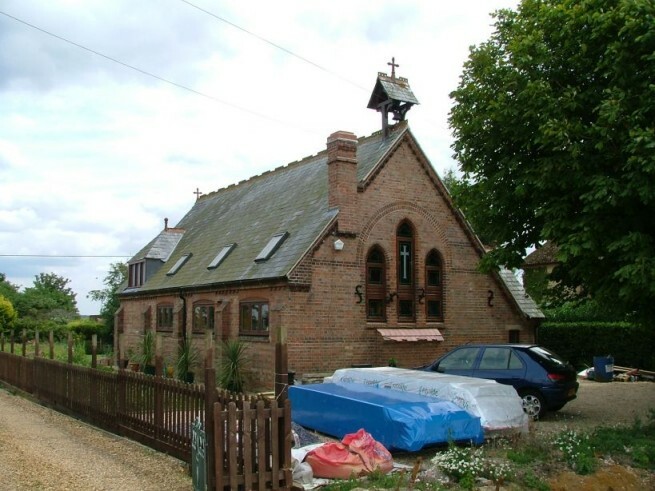 In the late 1990s, Pevsner's revising editor Bill Wilson came this way and explored this little apsed church built from Fletton brick in 1897. 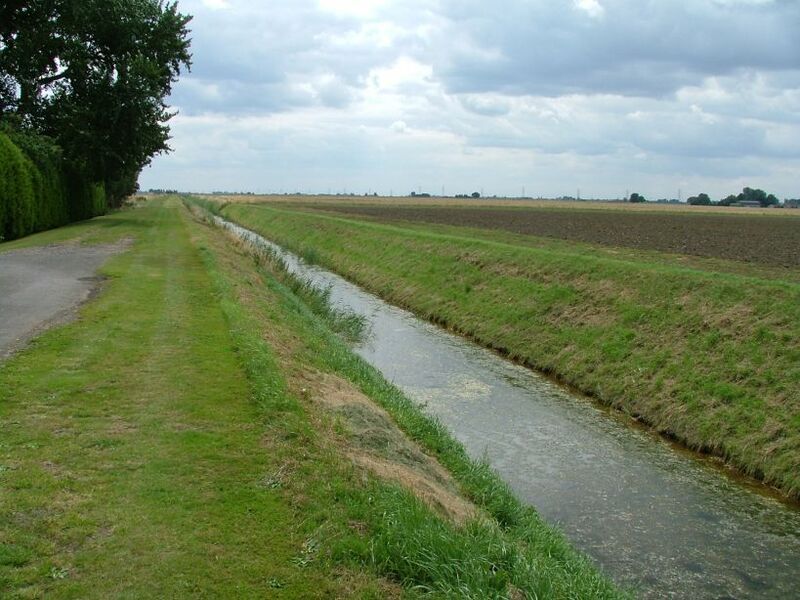 It stands in the flat fens on the banks of one of the great, straight drains that must concentrate the mind of anyone reversing out of their gateway after dark. The bell is still in situ in the turret. The architect is unknown. Inside,Wilson found PAINTINGS in the apse including sun and stars by Lilian Dagless, 1955. he was also able to report a SCULPTURE, Continental C17 painted wooden statue of St James. 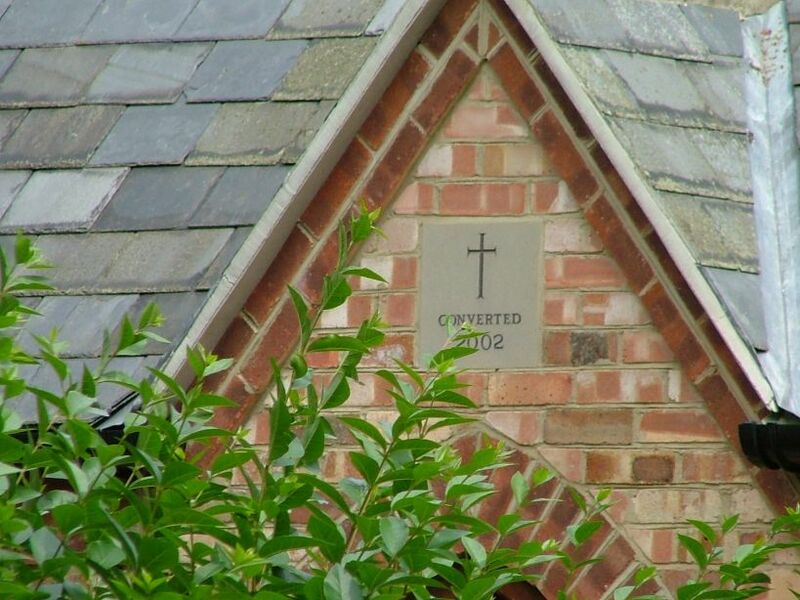 Now, a small plaque above the south porch of the building confirms what is all too obvious from the outside. Converted 2002 it reads, for St James has become a private house. This is perhaps not so surprising, because there are hardly any other houses nearby. The main settlement in the parish is a mile and a half away to the north-west, and most of the houses there are closer to Emneth. This must always have been a curious place to build a chapel of ease. Indeed, this whole parish is a curiosity. 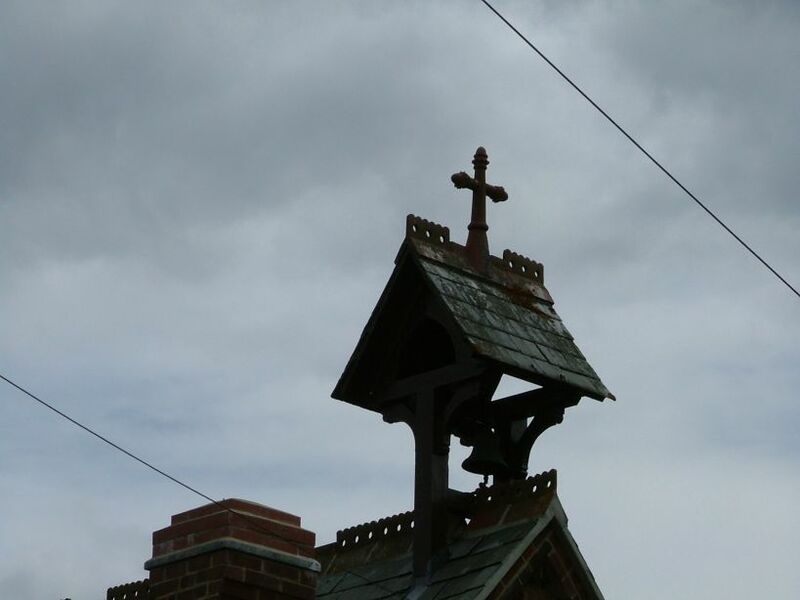 As with its neighbours the Terringtons, the Tilneys, the Walpoles and the Wiggenhalls, it takes its name from the dedication to its church; but in fact the parish was only created in the 1920s by chipping bits off of no less than ten surrounding parishes. The civil parish created in the 1930s took the same name, and it is one of the largest civil parishes in Norfolk in terms of area. There is a super 21st century Methodist church in the parish that deserves to be better known.